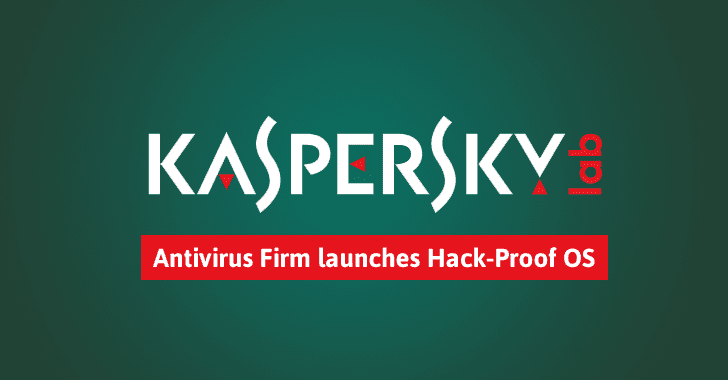 One of the leading players in the Electronics security market, the Russian company, Kaspersky has finally launched its own Operating system.The company has always worked hard towards providing security for all kinds of electronic media. The year of 2016 saw a humungous amount of security threats ranging from the hacking of social media accounts and to breaching of huge network servers. Kaspersky’s new product has come as a solution to combat these threats as well as make hacking extremely difficult. Kaspersky has been working on the Kaspersky OS (KOS) for the past 14 years. The company’s founder Eugene Kaspersky made an announcement recently regarding the new OS. With billions of people accessing IoT each day, the launch of KOS comes as an important solution for fighting cyber attacks. The KOS comes with three products namely the Kaspersky OS (KOS), Kaspersky Secure Hypervisor (KSH), and the Kaspersky Security Software (KSS). The three products will ensure that there is a secure interaction between the OS components and the network. On November 11, 2011, the company started the project for the new OS under the codename, KOS 11-11. Now, the KOS is ready for launch after a successful pilot test in real time. Also, the OS is designed in such a way that it will perform only based on said functionalities and any changes to that can be carried out only after the user’s authentication. According to the latest reports, the KOS has not been developed using Linux. Eugene Kaspersky expressed that there is not even a string of Linux in the new OS and that it has been developed by the company from the scratch. It will indeed be interesting to see the user response to the new OS as well as to welcome new innovations in computers usage. For a good PC health, which one is best Kaspersky or McAfee? Can you suggest the best anti virus?